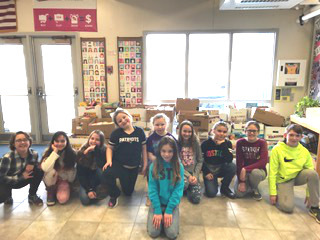 The week of January 28 – February 1, the student council led the annual “Souper Bowl” Food Drive competition at Clinton Elementary School. The classrooms were divided into two teams – the Patriots and the Rams – and competed to see who could bring in the most items for the Town of Clinton’s Food Bank. The Patriots team won and the school donated a total of 927 items, making the annual event a success for everyone involved.